to as the "Lady of the River"
The fishery offers excellent grayling fishing during the winter months (from 11th October - 31st January). 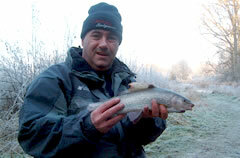 In 2001 one in ten of the grayling weighed in at over 2lbs and the best fish was 3lb 1oz. 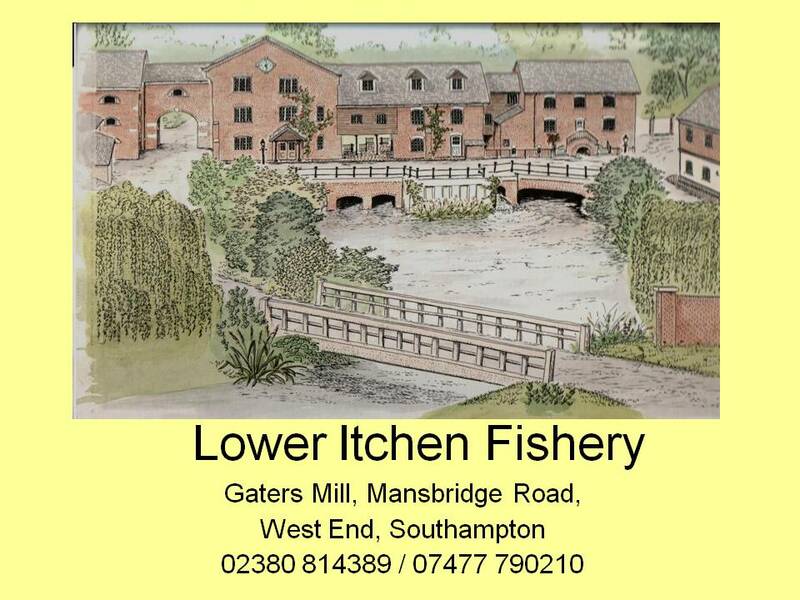 We are privileged to have been chosen to host the Federation of English Fly fishers, South East Region (for the past 7 years) and the Southern Region from 2001, who have held their Region Rivers Eliminator matches on our water, the winners from which go on to the National Rivers Final from which the England Fly Fishing team are selected. 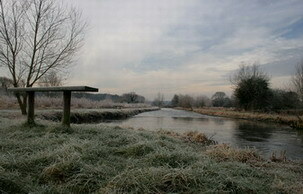 We often have current and ex-world champion fly fishers fishing on our water during the winter months. "The most fantastic day out I have experienced for grayling fishing with the fly on a chalkstream. You can almost guarantee to catch, no matter what the weather." "The fishing is superb. I have had two fish over 3lbs and there are not many places you can do that!" It is also possible to book the top beats exclusively for a party of up to 25 fishermen. Group bookings for 20-25 rods are available with discounted prices. Ring for details.